The struggle between individual needs and wants and what is good for society has been waged since the beginning of human existence. Every individual first investigates and then debates internally before a decision is made; weighted down by a lifetime of experiences. The artist’s role is to dig into such elements as fears, dreams, fantasies, and memories that shape this inner dialogue. An artist must probe these “dark” corners to discover the “essence” of what is personal and yet universal at the same time. Similar to the way we make decisions, my work is meant to draw you in and repel you at the same time. I began my creative process as a photographer and over time I have moved into becoming a multimedia artist. My first foray into print making began with photo tests and discarded darkroom mistakes that began to chemically change in the trash receptacle. I quickly collaged the work before it turned black. 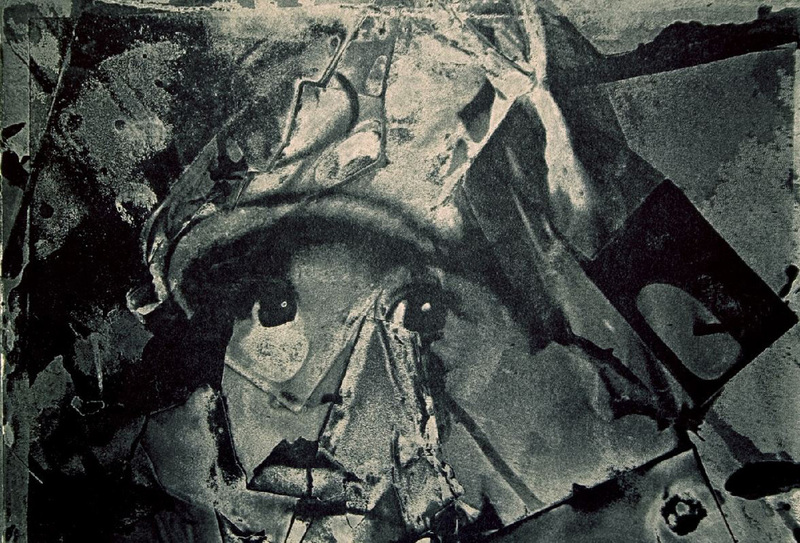 These collages were re-photographed, scanned and contact printed onto a photo-sensitized etching plate. Then etched, aquatinted, and printed. Each image had its own set of personal decisions that had to be made on the plate itself. Expanding my print making skills I developed collagraphs using feathers in which the feather represented an element of society; mother, father, son, daughter, leader, etc. Moving further away from the photographic image I began making monotypes, which helped me realize a depth that could not be expressed through straight photography. This in turn helped my photography become more sensitive to abstract languages.